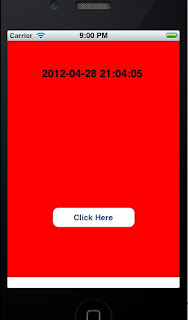 UIViewController subclass -> next -> Give the application name “CurrentDateTimeView”. select “dateLabel”. Now save the .xib file, close it and go back to the Xcode. Step 8: Now compile and run the application on the Simulator.